With the popularization of 100G Ethernet, the latest two types of 100G QSFP28 optical transceivers, 100G QSFP28 CWDM4 optical transceiver, and QSFP28 PSM4 optical transceiver are well recommended for the deployment of the 100G network, especially QSFP28 CWDM4 optics for long-reach transmission. Then Gigalight will have a comprehensive introduction to essential things that you should know about CWDM4 optical transceiver module in this post. 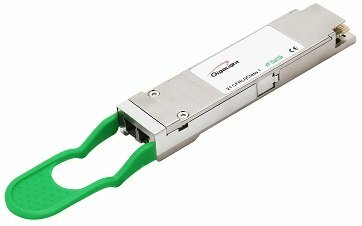 The QSFP28 100G CWDM4 optical transceiver is a full duplex, photonic-integrated optical transceiver module that provides a high-speed link with a maximum transmission distance of 2km for 100G Ethernet. 100G QSFP CWDM4 is designed for optical communication applications compliant with the QSFP MSA, CWDM4 MSA and portions of IEEE P802.3bm standard. CWDM4 interfaces with LC duplex connectors. 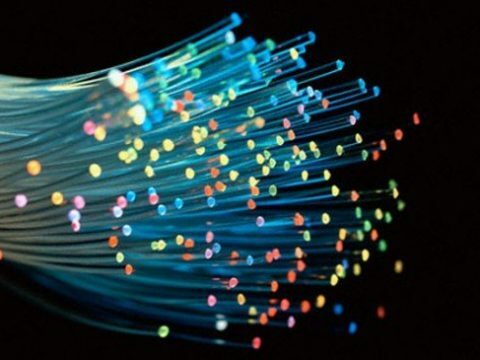 It converts 4 input channels of 25Gb/s electrical data to 4 channels of CWDM optical signals and then multiplexes them into a single channel for 100Gb/s optical transmission. Specifically speaking, four lanes with center wavelengths of 1270nm, 1290nm, 1310nm and 1330nm are controlled on the transmitting end. On the receiving end, four lanes of optical data streams are optically de-multiplexed by an integrated optical demultiplexer. With an optical multiplexer and de-multiplexer, one just uses a duplex single-mode fiber to connect two 100G CWDM4 optical transceivers. QSFP28 CWDM4 has many advantages, such as low power consumption, high compatibility, Digital Diagnostic Monitoring (DDM) support, high transmission rate, long transmission distance and so on, in which the long transmission distance is its most highlighted feature. It adopts WDM (Wavelength Division Multiplex) tech, full-duplex LC connector, and single-mode fiber, which are helpful to realize 2km reaches. Besides, on account of the adoption of WDM, it just needs two single-mode fibers to realize the transmission, which, to some degree, save the costs in fibers. 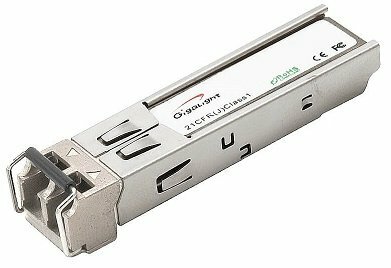 At this time, compared with 100G QSFP28 PSM4 in cost and transmission distance, QSFP-100G-CWDM4-S is preferred. As for its applications, by virtue of its various advantages, it’s widely utilized in many fields, such as CATV(Community Antenna Television), FTTH(Fiber To The Home), 1G and 2G fiber channel, Gigabit Ethernet, SONET (Synchronous Optical Network) OC-3（155Mbps）/OC-12（622Mbps）/ OC-48（2.488Gbps）, Security and Protection systems; also in Local Area Network (LAN), Wide Area Network (WAN), and Ethernet switches and router application. For a better application of CWDM4 in the deployment of 100G Ethernet, the above-mentioned contents such as the definition, the advantages & features and the applications of QSFP28 CWDM4 are essential things that you should know. 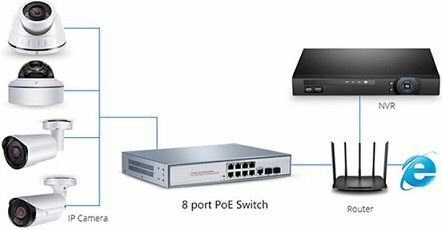 What to Consider When Buying PoE Switch for IP Cameras? ← How Much Do You Know About Dispersion in Optical Transceiver?